The way the carnivals lit the midways long ago . . . In the early years of the industry, before there was electricity, the mainstay of midway luminescence was the Pan Lamp used for decades until electricity came to be common place. 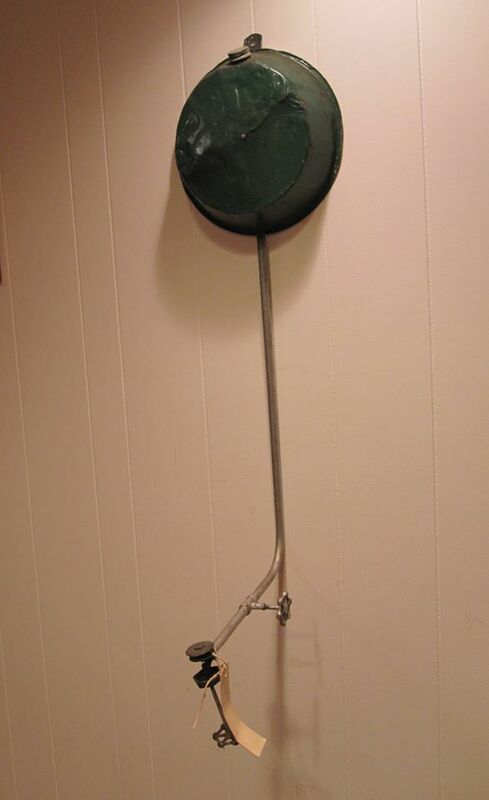 The midways of America or even in most homes, the traveling shows were lit by the venerable “Pan Lamp”. It worked on the same principal as the coal miners lamps. Water was put in the tank or ‘pan’ at the top where it came into contact with a mineral substance known as calcium carbide (C2H2) producing acetylene. The conventional process of producing acetylene in a lamp involves putting the calcium carbide in the lower chamber (the generator). The upper reservoir is then filled with water. A threaded valve or other mechanism is used to control the rate at which the water is allowed to drip into the chamber containing the calcium carbide. By controlling the rate of water flow, the production of acetylene gas is controlled. This, in turn, controls the flow rate of the gas and the size of the flame at the burner, (and thus the amount of light it produces). These “Pan Torches/Lamps” were safer and more dependable than torches or candles and were the mainstay of midway luminescence for decades until electricity was made available to the rural fairgrounds in most towns. Later, shows bought gasoline generators as they became available and later still, diesel power plants, many as government war surplus. Stop by and see a real Pan Lamp at The International Independent Showmen’s Museum.